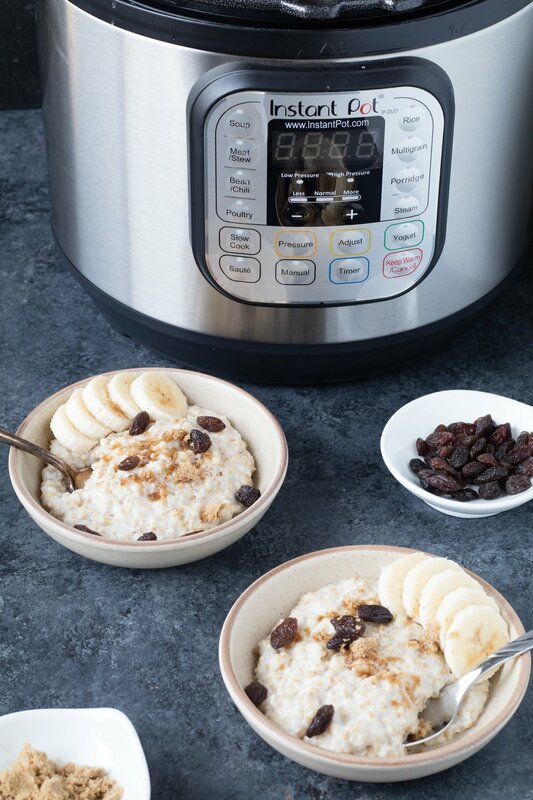 Instant Pot Steel-Cut Oats make mornings MUCH easier… or prep the night before, and heat up in the AM! I feel like everyone I follow on social media received an Instant Pot from Santa this Christmas! Everyone is posting about it and I love it because I think the Instant Pot really is amazing. I’ve had mine for a little over a year and have found it to be most useful for rice and soups! Especially brown rice! The other day when I was in the grocery store I was stocking up on oats and cereals. I saw the steel cut oats and thought man, I haven’t made steel-cut in SUCH a long time! I used to be hooked on them and it was the only kind of oats I would eat. (Weird, I know.) The downfall is the amount of time they take to cook!! Insert: Instant Pot. The Instant Pot made these cinnamon steel-cut oats in 3 minutes. (Now this means 3 minutes once the Instant Pot heats up, which more realistically means probably a total of 10-15 minutes). Which is a heck of a lot less time than cooking them stove top and a win in my book, and probably yours too! 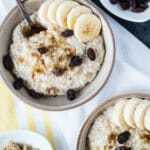 So what the heck are steel-cut oats?? Lemme tell ya! They are clearly a type of oat but the processing is different. Rather than being rolled, it is processed by chopping the whole oat groat into several pieces. I personally really like the wholesome, chewy texture of steel-cut compared to the rolled oats. Anywho this recipe is super simple, you can make modification to your toppings and what you like on them/mixed in them/drizzled/etc.! Enjoy! 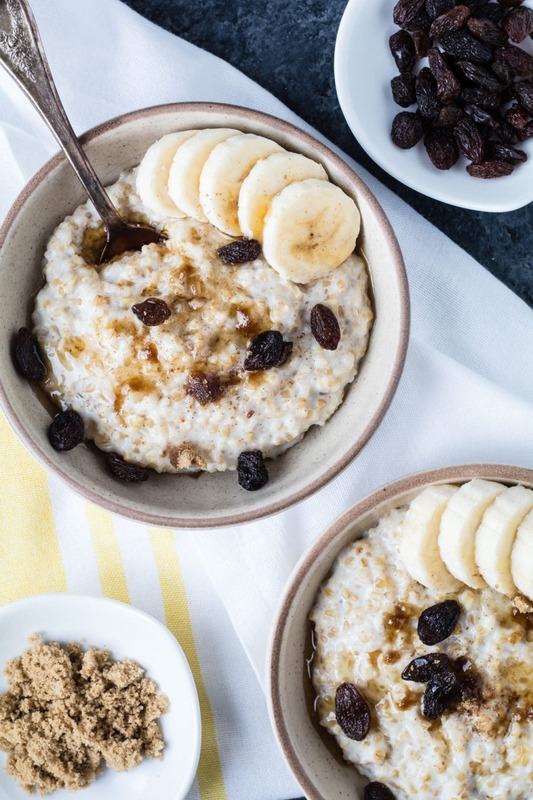 Instant Pot Steel Cut Oats make mornings MUCH easier or prep the night before, and heat up in the AM! In the Instant Pot, pour in the milk, water, oats, salt, cinnamon stick, vanilla bean paste and salt. Give this a gentle stir to mix. Secure lid on, plug in Instant Pot and press manual and set it to 3 minutes. The knob on top of the Instrant Pot should be set to sealing. Once the Instant Pot is done, let sit for an additional 5 minutes. Switch to venting and let the steam release. Check oats, if they aren't done to your liking, put lid back on and let the heat within the Instant Pot cook them a little further. Remove cinnamon stick, and top with your favorite oatmeal toppings! I used whole milk - you can use whatever milk you like best!